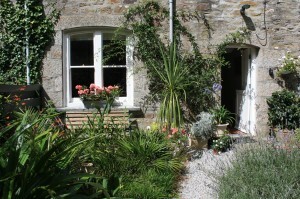 Lavender Cottage is situated on the edge of Tehidy Country Park, close to Cornwall’s North Coast. It is approached from the main road, via a delightful half mile tree lined drive and is one of a cluster of three former estate workers cottages sitting within the old Basset family country estate, known as Tehidy. 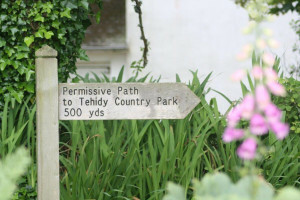 Tehidy Country Park can be accessed via a 500m path from the cottage door. 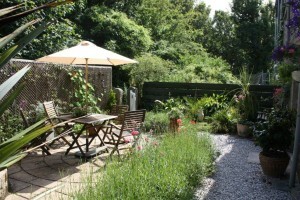 The cottage is south facing so its attractive front garden enjoys hours of sunshine. The lawned approach, from the two car parking spaces, offers sun late into the evening and the tranquil situation allows for an al fresco lifestyle. 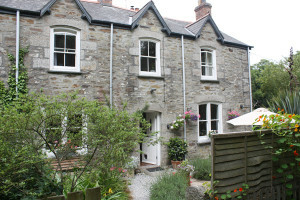 Over one hundred years old Lavender Cottage, with attractive granite frontage offers tasteful and comfortable accommodation for four guests and one well behaved dog. The recent refurbishment has left the cottage unspoilt,whilst retaining many beautiful and original features. We like to meet and greet our guests on arrival. 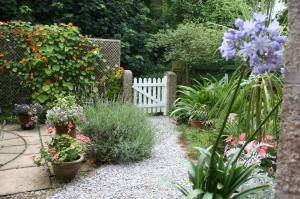 Having lived in Cornwall most of our lives we know the locality well and can advise and be available for help if needed. 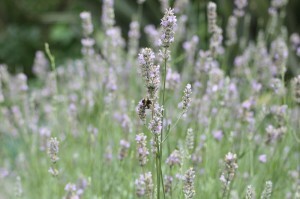 Living nearby we are on hand should the need arise. Short breaks available at certain times. Short stays are charged @ 75% of the weekly tariff. Please e mail us for details.